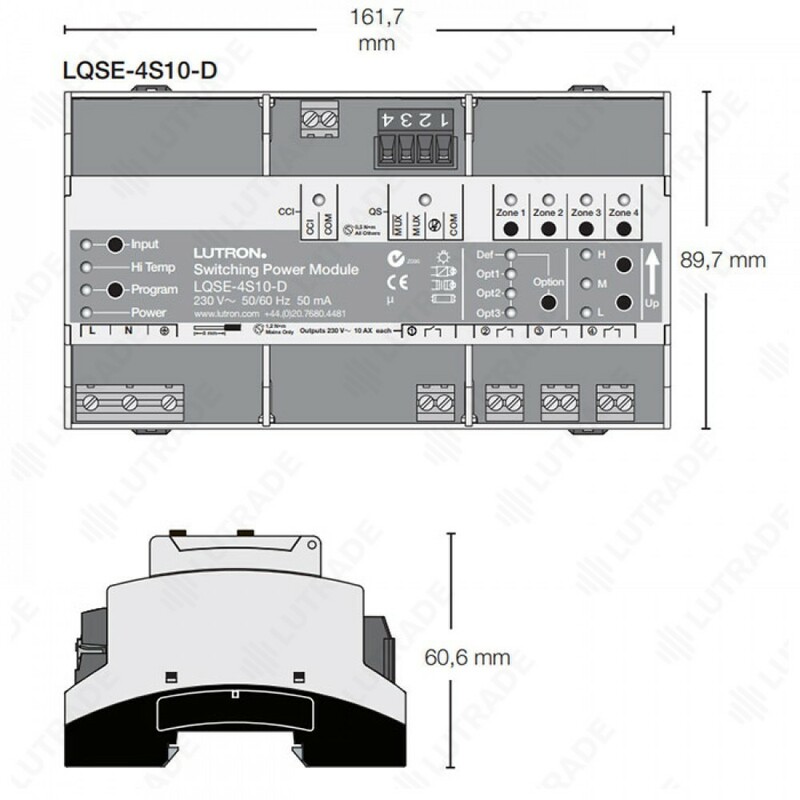 The Power Module family is a group of modular products for the control of lighting loads. • Includes QS link for seamless connection to a HomeWorksR QS system. • Power Module units can be used in a HomeWorksR QS system to control and manage light in an entire home or building. • Lightning strike protection meets ANSI/IEEE standard 62.31-1980. Can withstand voltage surges of up to 6 000 V and current surges of up to 3 000 A. • Each zone is rated at 10 AX for switching. Rated for resistive, capacitive, or inductive lighting loads as defined by IEC/EN 60669-2-1. 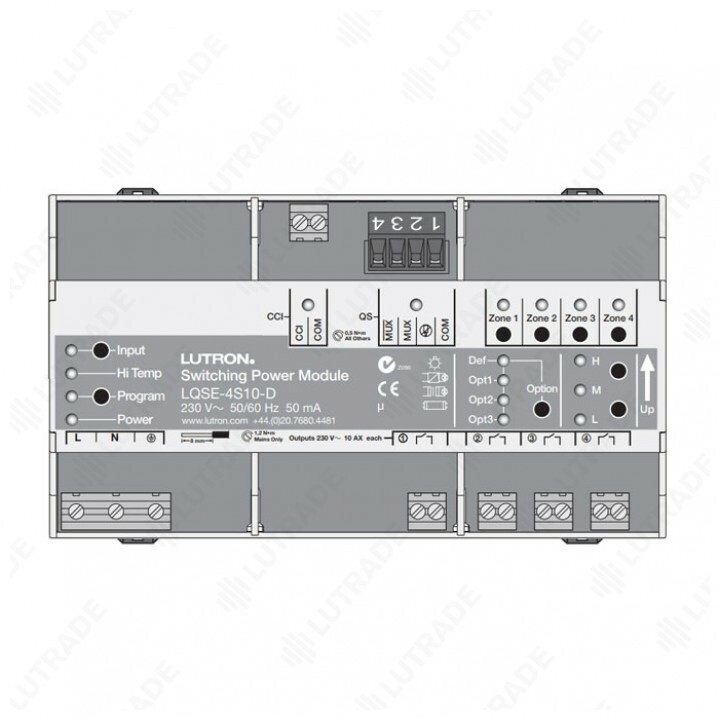 • Switched outputs utilize latching relays to maintain relay state if control power is lost. 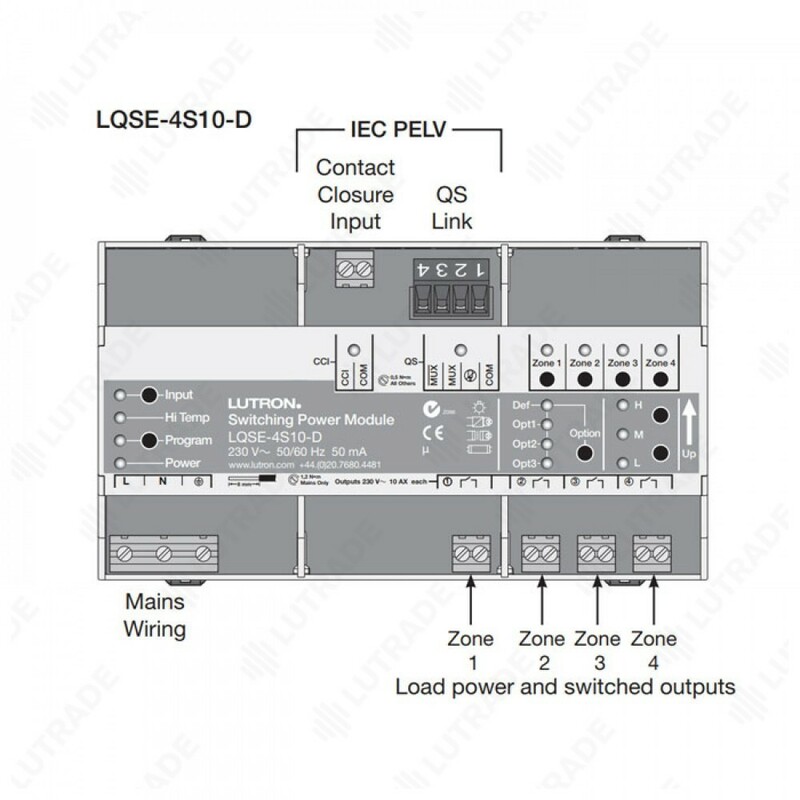 • LQSE-4T10-D and LQSE-4S10-D can only be used with the HomeWorksR QS system. • Setup and programming of the DALI® Power Module is done through the HomeWorksR QS programming software. • HomeWorks® QS software version 3,0 or higher required. • HomeWorksR QS wallstations can be configured to control Power Modules with the HomeWorksR QS programming utility. • LED indicator displays the status of programmed lights. • A QS link in a HomeWorksR QS system can have up to 512 zones (outputs) and 100 devices. NOTE: Program, Input, and Option buttons are not used in LQSE models. • The CCI behaves as a Manual Override Closure Input. 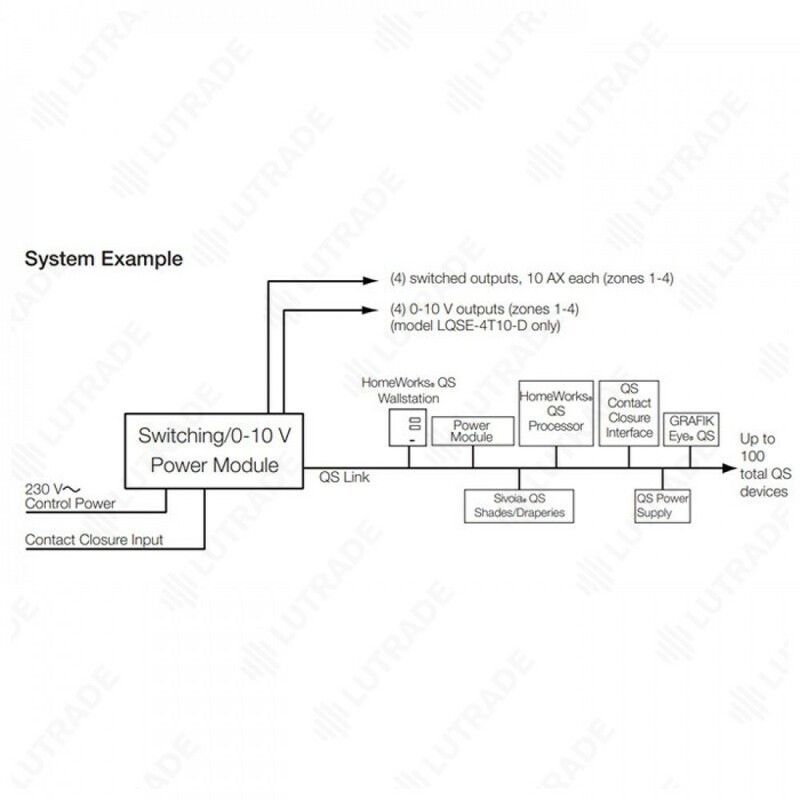 • If the CCI is open, the Power Module unit will enter Manual Override Mode, which will turn on all loads and disable control from other devices. • When the CCI is closed or jumpered (factory default), Power Module unit zones will return to the settings or levels they were at prior to entering Manual Override Mode.